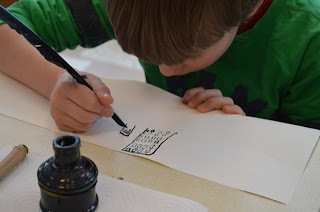 In March I toured with artist collegue Elisabeth Alsos Strand around many schools in Salten in Nordland - North Norway with the project Blekkhuset. 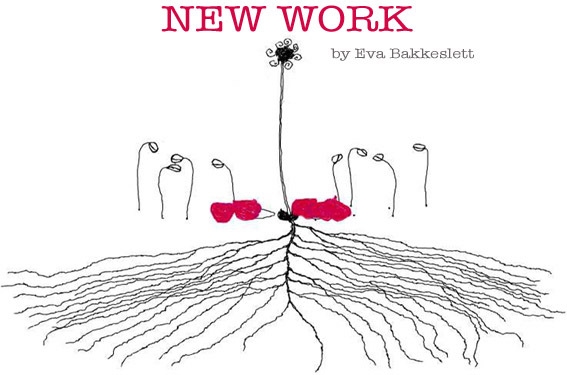 "In our time the written language has undergone a major transformation. From hand-written letters to the touch of a screen. But are there qualities in a hand written letter which we are missing in our digital age? 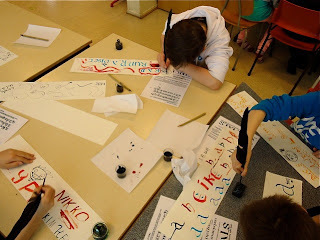 It is the sensuous experience of letters and handwriting as an art form that is explored in this project. 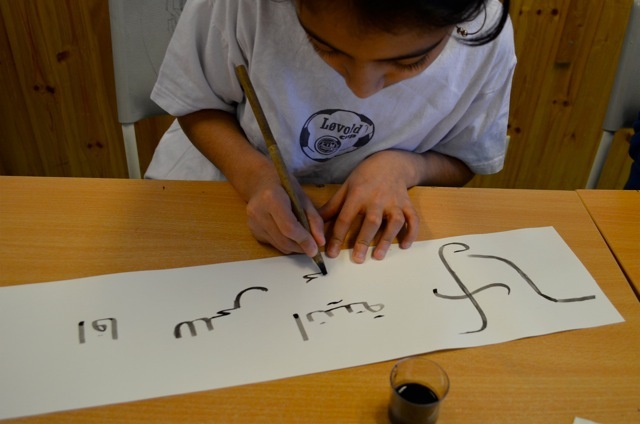 The participants will get a glimpse of the history of letters and writing and get given a practical crash-course in calligraphy which is the art of forming letters. 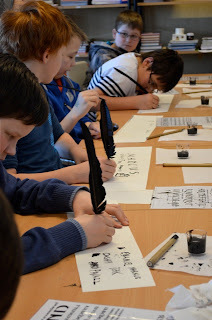 They will experiment with different ways of forming letters and try out many different writing tools and gain inspiration and knowledge to write their own hand written letter. This project is meant to inspire children and teachers to capture the magic of letters and rekindle the magic and art of hand writing."